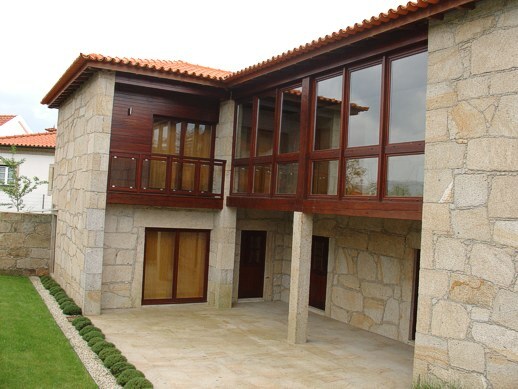 has been converted into a luxurious Portugal villa. 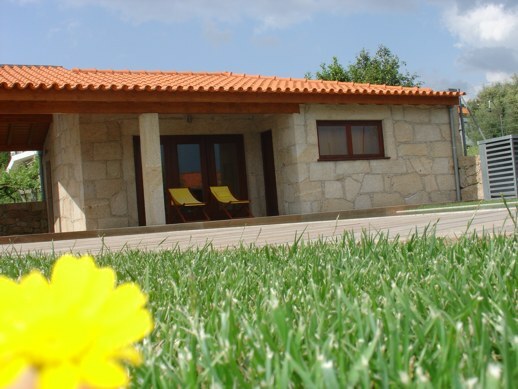 Casa Oliveiras de Santa Comba is a beautiful stone house built in the 19th century. After a full restoration, it now offers modern facilities whilst retaining many period features. This villa, formed of a main house and a separate one bed cottage, is surrounded by beautiful gardens and an elegant private swimming pool. 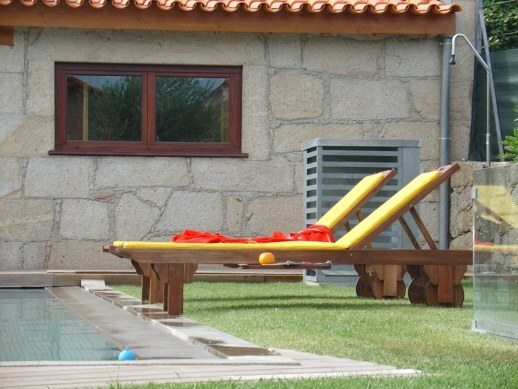 The villa’s excellent location offers guests beautiful natural landscapes, including natural lagoons perfect for swimming, and charming historic Portuguese towns with much to see and enjoy. 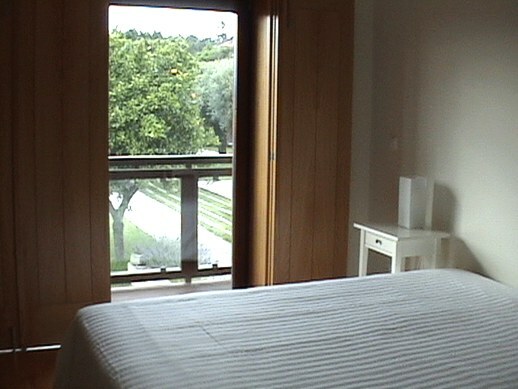 Casa Oliveiras de Santa Comba offers a main house and an independent cottage. These cannot be rented separately so all the facilities are private. 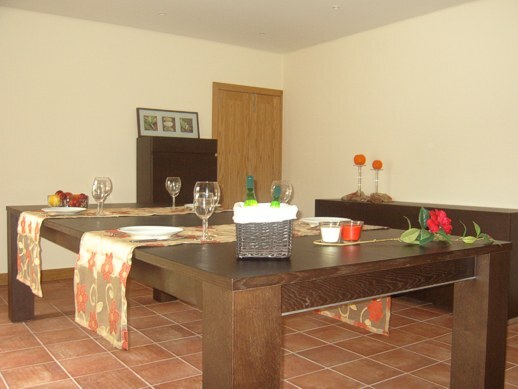 The ground floor of this villa has a large lounge, dining room and fully equipped kitchen. 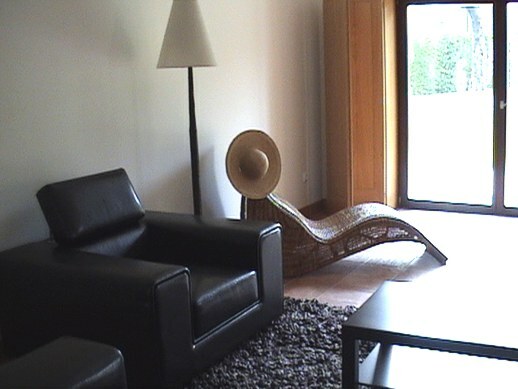 The lounge and dining room are both modern in decor with direct access to the garden. The lounge features a fireplace and a games table. The dining room has a large table seating up to 14 people. The house’s 5 bedrooms (3 twin and 2 double rooms) are located on the first floor. All bedrooms have an ensuite bathroom or shower room. 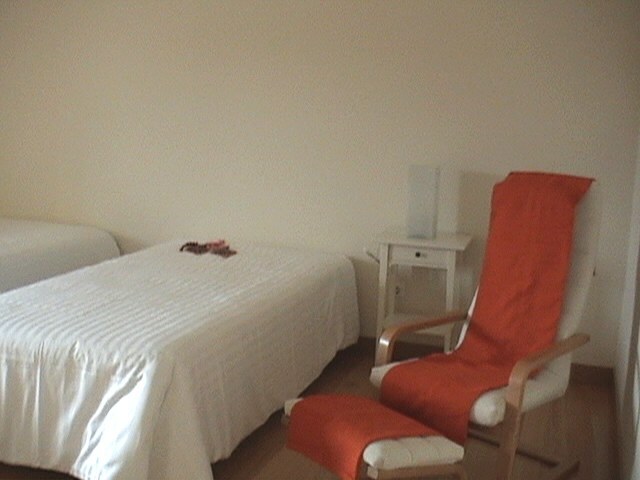 The cottage has a double bedroom and separate bathroom. The modern open plan lounge/dining room and well-equipped kitchenette have direct access to the pool area. Both the main house and cottage have central heating. The villa is surrounded by a beautiful lawned garden. At the heart of the garden lies a private swimming pool – a number of sun loungers will be available around the pool. The villa’s covered dining area is located by the swimming pool. It is the perfect place to enjoy the warm summer evenings. Sports equipment is available including a table football table, basketball hoop and a football goal. The laundry room is in a separate building in the grounds. There are a couple of restaurants 500 metres from Casa Oliveiras de Santa Comba. The beautiful natural lagoons of Bertiandos ate 2 kms away. The old roman town of Ponte de Lima is 3 kms away. There are many excellent restaurants serving traditional dishes accompanied by very good regional wines. The ECOVIA, a path along the banks of the Lima river, is a 10 minute walk away. This is ideal for walkers or cyclists to enjoy amazing views. 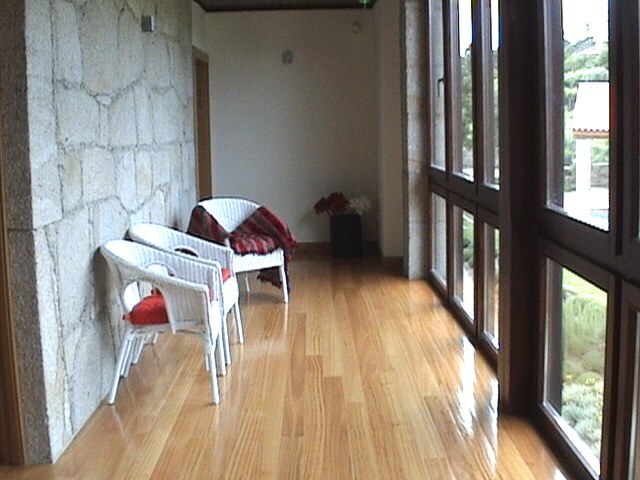 Ponte de Lima golf course is a few kms away. 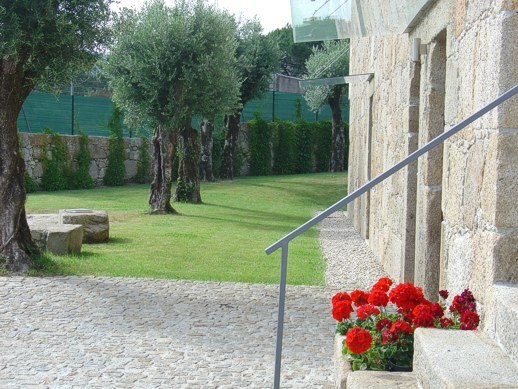 From the villa a number of towns are easily accessible, including the old sailing port of Viana do Castelo, the Peneda-Geres National Park, Braga, Guimaraes and Porto, as well as to the Spanish towns of Vigo and Baiona. 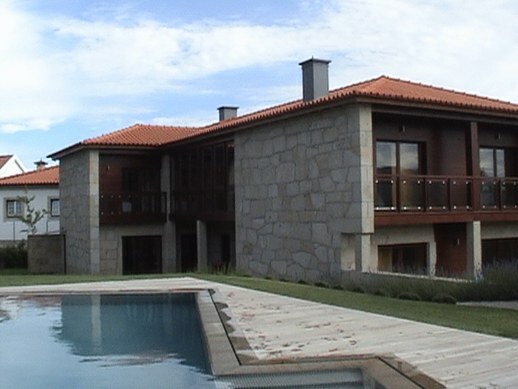 The international airport in Porto is approximately a 1 hour drive from the villa. 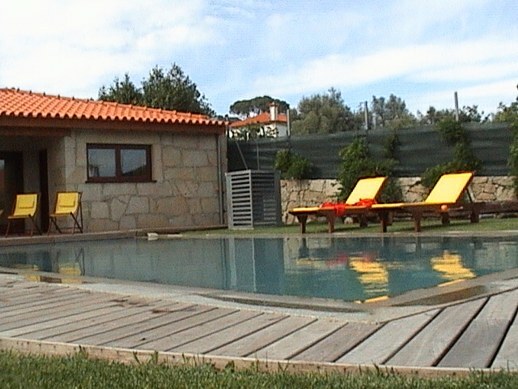 We enjoyed a wonderful week at Casa Oliveiras de Santa Comba in July 2010, house is beautifully kept, superb bedrooms and bathrooms, lovely lounge and pool area, plus cottage in garden. 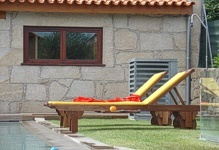 The house is close to Ponte de Lima which is a stunning old town with good amenities for shopping, eating a sight seeing. We would certainly return for another holiday with all the family.